Editor’s Note: Led by contributors from NextBillion’s Managing Partner, New Ventures, this is the latest in a series of articles showcasing the achievements of environmental entrepreneurs with insights from impact investing leaders on how to further scale sustainable enterprises. Other articles can be found here. SMEs in emerging economies face significant challenges to their survival, and a large majority fail within the first few years of operation. This high failure rate is largely the result of a weak entrepreneurial support infrastructure leading to a deficiency in business skills, a lack of access to capital, and markets and policy barriers which increase the cost of doing business, forcing many companies out of the market. A plethora of stand-alone incubators and accelerators focus on rectifying the lack of business skills training (some also play a role in facilitating investment to portfolio entrepreneurs). A big component of most of these incubator/accelerator programs involves linking entrepreneurs with “mentors” – experienced entrepreneurs, business leaders, potential investors and experts. These mentors play a critical role in getting companies the advice and preparation they need to excel in the market – anything from connections with their broader networks to specific finance skills. A recent study by I-DEV International analyzed incubator/accelerator models and best practices across the globe and determined that mentor and peer learning are, in fact, the strongest components of existing social incubator/accelerator models. And an added benefit is that mentor programs are fairly low cost since many mentors provide their services for free; this allows incubators and accelerators to provide high quality services without a significant increase to their already strained budgets. Given their importance, we wanted to get a handle on the types of mentor programs currently offered by a few of these incubator/accelerator programs, and glean some more anecdotal lessons learned in providing mentor services. In part two of this article, we will summarize the main insights we gleaned directly from mentors and entrepreneurs about their experiences participating in these programs, although many of these programs are considering building out a virtual component going forward. I-DEV breaks up incubators and accelerators into five main categories based on how they provide services to SMEs; these include: business plan competitions, hub or co-sharing programs, management capacity and model development programs, entrepreneur sponsorship programs, and virtual programs. Of these, three are the most focused on incorporating significant mentorship services; the hubs/co-sharing, management capacity & model development, and virtual programs. We chose to focus on management capacity & model development programs for this particular series of interviews. We interviewed Cesar Gonzalez, Unreasonable’s vice president of systems. Unreasonable’s model, launched in 2011, is largely built on several tech mentor programs and their marketplace is based on Kickstarter. In the program, 25 entrepreneurs are selected each year from around the world and brought to live and learn together for six weeks. Their curriculum consists of a five topics that span acquiring customers, finding financing, building world-class teams, and experimenting with business models and hypothesis testing. Based on these topics, specialized mentors are assigned with each aspect of the curriculum and host workshops each week. Unreasonable recruits world-class mentors who are leaders and CEOs of top businesses and organizations around the world. We interviewed Didier Quiroz, associate of the Accelerator Program at New Ventures Mexico. 1) Business potential (i.e. including understanding their core business). 2) “Go-to-Market” (i.e. competitor analysis and competitive strategy). 3) Growth requirements (determining the profitability of each strategy). 4) Risk management & next steps (i.e. setting key performance indicators). Organized sessions take place between mentors (all from Mexico) and entrepreneurs once a month for three hours. 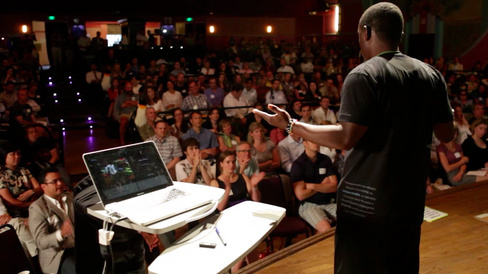 For each of these stages, there is a mix of mentors from different backgrounds. This structured approach (versus simply linking mentors one-on-one with companies) has been effective because mentors know exactly what they are getting into and entrepreneurs are able to identify and receive advice throughout the process. The mentor network (called Sustainable Minds Network) is comprised of over 100 leading figures in the business and investment community in Mexico. Going forward, Didier envisions having a dream team of mentors with consulting, finance, marketing backgrounds, in addition to mentors with specific sector experience, so they can have an even split of four mentors per meeting. On average, about 20 companies a year go through the NVM mentoring program. We interviewed Sanjoy Sanyal, director of New Ventures India. Their program originally began in 2009 with a paid mentorship program that ran eight weeks, where enterprises were matched with individual enterprises; however, when the funding for this program dried up, they moved to a pro bono model. Many mentor networks now exist in India (i.e. TiE India). By partnering with these networks the process for New Ventures India has become less prescriptive; companies can now choose their mentors and mentors can choose companies. On the other hand, New Ventures India staff spends less time administering the program, so they can spend time mentoring companies themselves. In terms of evolution, New Ventures India is thinking of ultimately moving to an online platform to connect companies with mentors. On average, about 10 companies a year go through the mentoring program. We interviewed Victoria Canavor, senior manager of TechnoServe’s Volunteer Consultant Program. TechnoServe’s program has been running since 2001 and over 700 alumni have passed through the program; mentors are selected based on their business skills for a three- to 12-month period. There is an open call for application for mentors, and many are referred by alumni and staff. These mentors work closely with TechnoServe’s country teams, and local staff are heavily involved in pairing entrepreneurs with mentors with the right skills – from management consulting to marketing and communications. 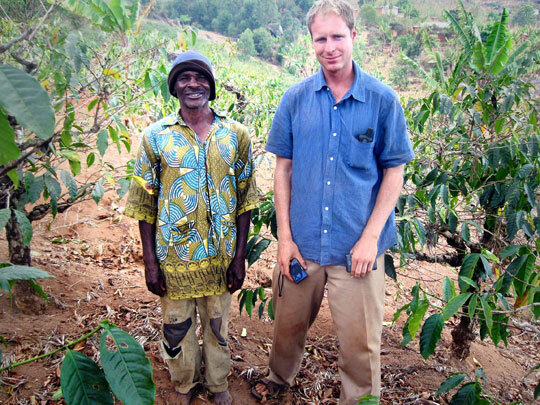 (Right: Joe McMahan, pictured right, supports strategy development for The Coca-Cola Company’s sustainable agriculture program, and is a former TechnoServe volunteer consultant). TechnoServe’s volunteer consultant program began because specific analytical skills were not easily available locally. By developing a structured program and working with volunteers who were motivated, they were able to provide necessary mentoring services in a cost-effective manner. Attract mentors with specific expertise. Some entrepreneurs are looking to optimize financial documents; others are looking for strategic advice about business expansion into certain geographies. It makes sense to attract mentors that can provide targeted advice to companies. Match the right people together. Make sure to get the incentives right for both the mentors and entrepreneurs, so that everyone can mutually benefit from the process in an efficient manner. This also ensures that both the entrepreneur and mentor are given the opportunity to form deep and lasting relationships. Give mentors a rest. For New Ventures Mexico, mentors are asked to join for a four-month semester at a time. So they don’t get fatigued, mentors are given regular breaks. “They are like football players, you have to give them a rest and not just take advantage of their goodwill,” says Quiroz. They also like to keep the ratios high, so there are two mentors for every one entrepreneur. Be ok with replication. Although most entrepreneurs want to create a “unique” and “innovative” product or service, there’s a lot of value in replicating successful models and not reinventing the wheel. It is important for both mentors and companies to keep this point in mind. Provide mentor connections at different stages of growth. It’s important to make sure that accelerator programs don’t just make mentor engagements a one-time process, but help different enterprises connect at different stages of growth. Mentoring is critical infrastructure component of the impact investing sector that empowers entrepreneurs with the business skills they need to grow and scale enterprises with strong social, environmental, and economic outcomes. Part two of this article will focus on why mentors participate in these often volunteer programs, key lessons learned, and how companies have been affected.